The Business Touch. The well-received 12.5-inch Latitude gets a touchscreen update and an even brighter display. We take the U.S. model for a quick benchmarking round in this updated review. 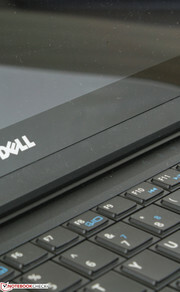 Dell thrives in its ability to offer a wide range of notebooks aimed at both small and large businesses. 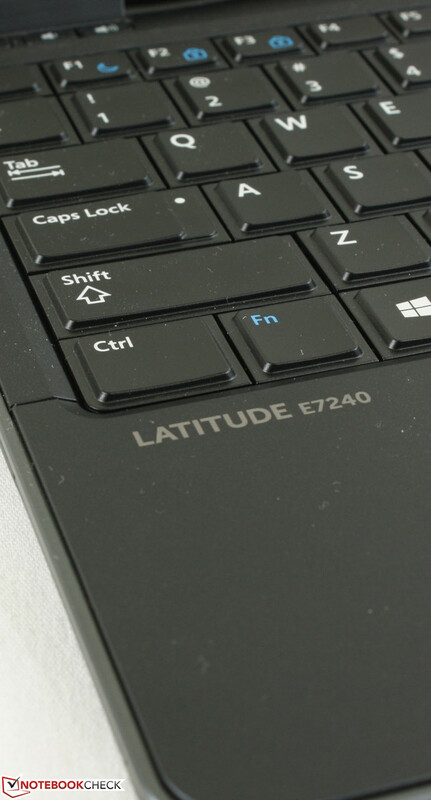 The build quality, connectivity and reparability of Latitude E models in particular deserve praise when compared to the host of more consumer-oriented models in the market. The 12.5-inch Latitude E7240 Touch continues the tradition by offering a lightweight 12.5-inch powerhouse for on-the-go business users. We recently and extensively tested an E7240 not too long ago, so more details on the chassis, connectivity and physical features of the E7240 Touch can be seen in the related review as both models are physically identical. Instead, the Touch update swaps out the ordinary 1366 x 768 TN matte display of the original model with a much more impressive 1920 x 1080 IPS glossy touchscreen. At the time of review, the price difference between a 720p model and a 1080p model is at least a couple hundred dollars. Are those extra pixels worth the extra price? We find out in this quick review. It is needless to say that the Full HD display of the E7240 Touch is orders of magnitude better than the modest original 768p screen. Potential buyers must be aware that they are not only getting a denser display for more screen real-estate, but also touchscreen capability, edge-to-edge Gorilla Glass NBT, a superior IPS panel, better viewing angles and a much brighter display with better colors and higher contrast. Texts and images are incredibly crisp and rich as a result that moving back to the less expensive TN model would feel like a cruel punishment. Aside from the obvious productivity benefits of a higher resolution, the more powerful display backlight should not be underrated. At a measured average of almost 400 nits, the E7240 Touch is almost twice as bright as a standard E7240 (388.6 nits vs. 210.8 nits). Furthermore, this was accomplished without significantly affecting black levels, which in turn means a contrast level twice as high for the Touch model (682:1 vs. 334:1). When combined with a higher pixel density (176.23 PPI vs. 125.37), watching HD videos on a Dell business notebook is more fun than it ought to be. 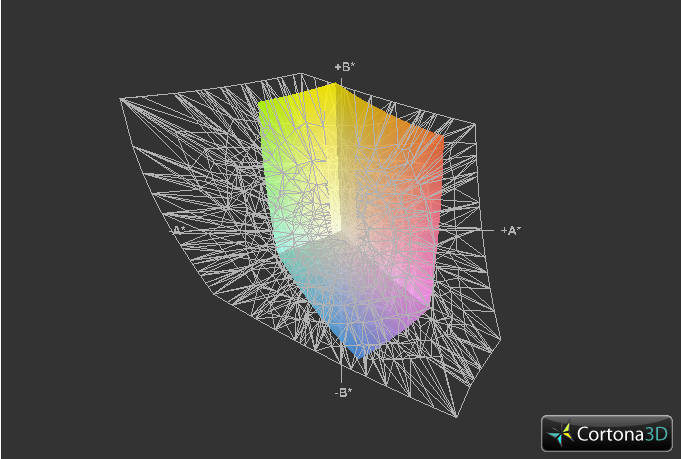 Note: The ambient light sensor was disabled for consistency in measurements. 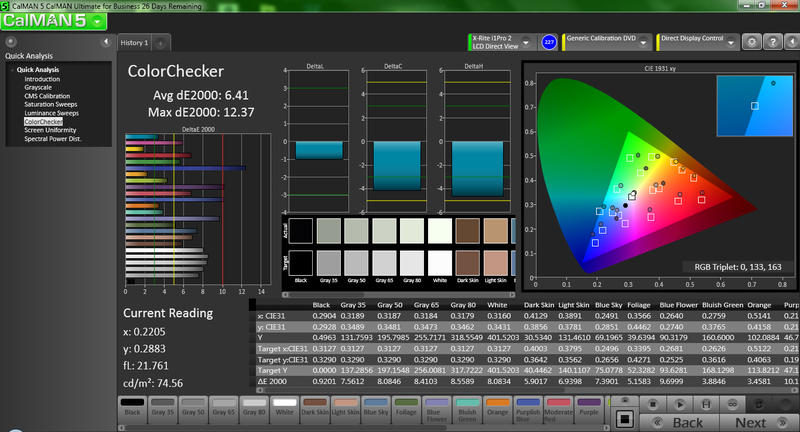 Color reproduction is only 58.04 percent and 42.66 percent of sRGB and AdobeRGB1998 standards, respectively. 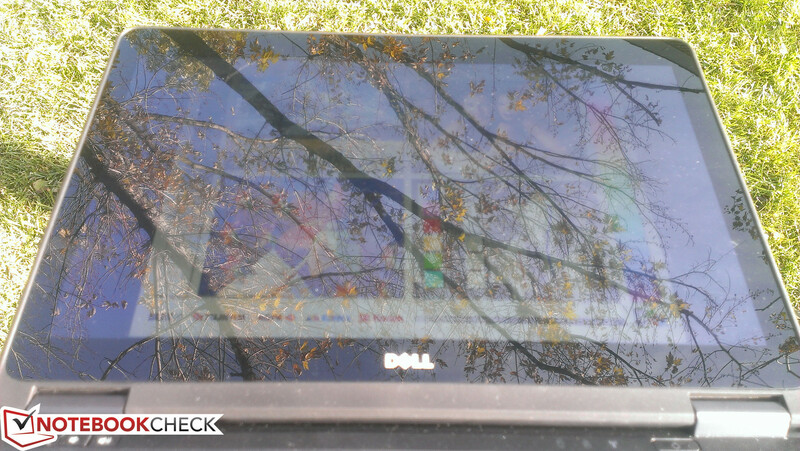 While a bit higher than the original E7240, color coverage continues to be a far cry from the displays of high-end mobile workstations like from Dell’s own Precision series or HP’s DreamColor notebooks. This is to be expected, of course, as the E7240 Touch is not marketed for professional graphics artists where a wide color gamut is crucial. 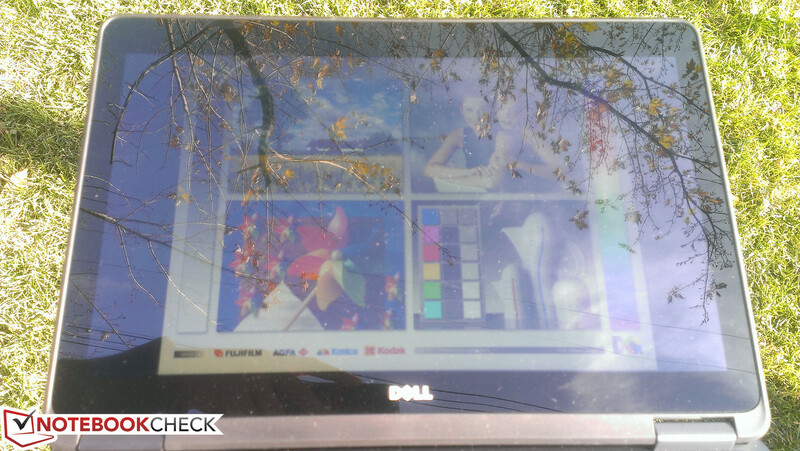 In this respect, the Dell display is similar to other 12.5-inch notebooks like the competing ThinkPad X240. 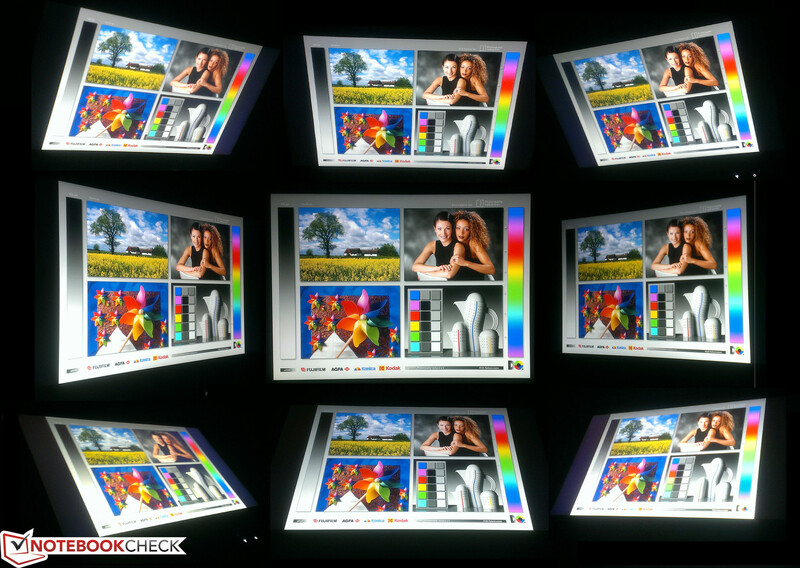 Further display analyses were performed with an X-Rite i1Basic Pro 2 spectrophotometer. 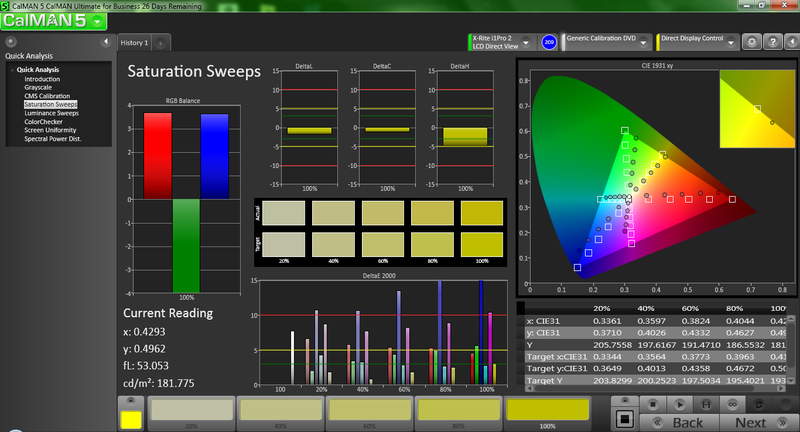 Color accuracy is generally good with yellow in particular doing better than others under all saturation levels. Blue and magenta are the least accurate, although the former can be explained by the cooler color temperature (>6000K) of the display. 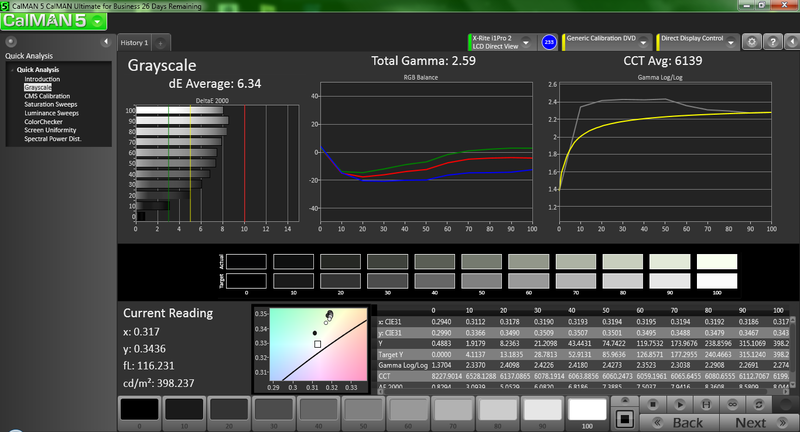 Calibration improves colors rather minimally, but will greatly smooth out RGB Balance and grayscale performances. Outdoor usability is better than the original E7240, but not without a couple of noteworthy caveats. 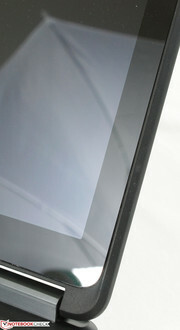 Due to the Gorilla Glass covering, the E7240 Touch is glossy by default compared to the matte E7240. This requires a stronger backlight (and thus more battery power) to deter inevitable reflections and glare when active outdoors. 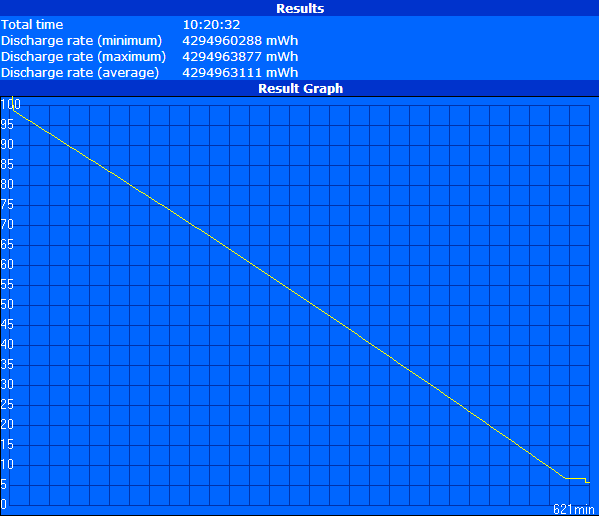 Secondly, the maximum screen brightness of the Touch model will drop when running on batteries from 388.6 nits to 322.9 nits. This decrease occurs even when on the High Performance profile and prevents the notebook from being a better outdoor device. As such, use under direct sunlight can still be straining and shade is preferable if possible. 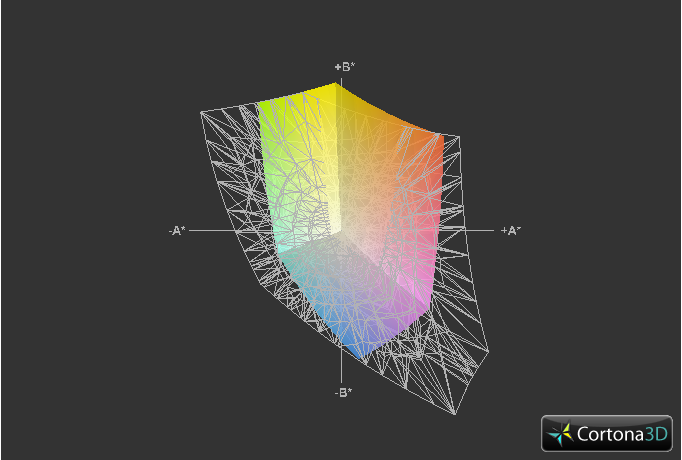 For indoor environments, however, the screen is plenty bright for home, office or class use. 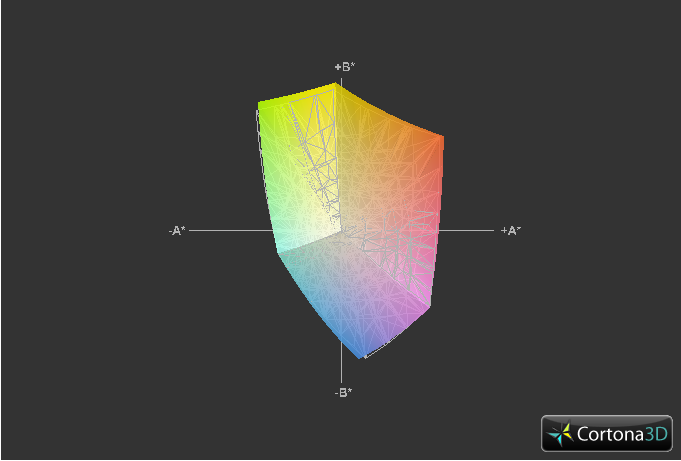 Viewing angle stability is typical for an IPS display; color degradation is minimal even from extreme angles. Users familiar with most mainstream or high-end tablets or smartphones will have a good idea of the viewing angles of the E7240 Touch display. This is especially important for outdoor use as it allows for a wider viewing window to avoid as much glare as possible. Compared to the less expensive TN panel of the E7240, the viewing angles here are unmatched to say the least. The E7240 Touch on hand is equipped with an upgraded processor from our original model (Core i5-4300U vs. 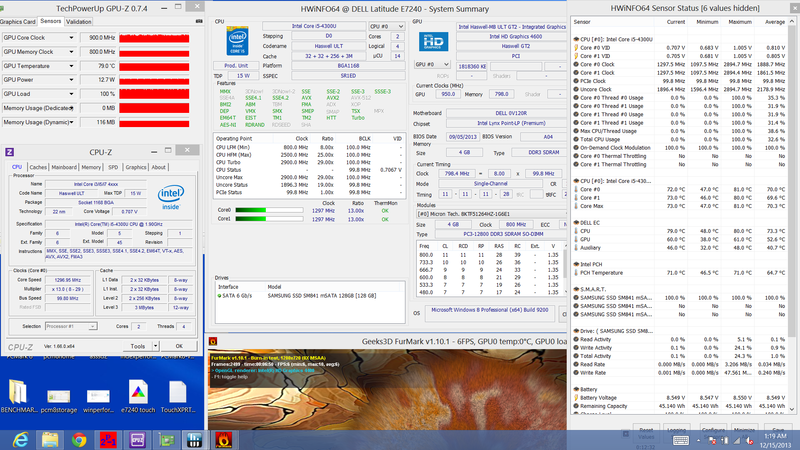 Core i5-4200U). 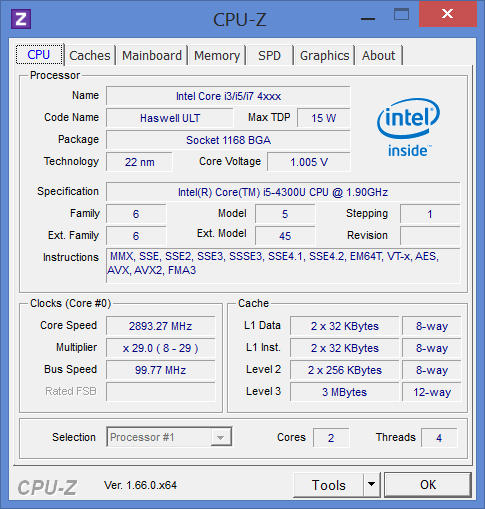 Lower-end configurations house an i3-4010U instead, while higher-end models make use of an i7-4600U. Compared to the i5-4200U, the i5-4300U in our review model operates 300 MHz faster (1.9 GHz vs. 1.6 GHz). 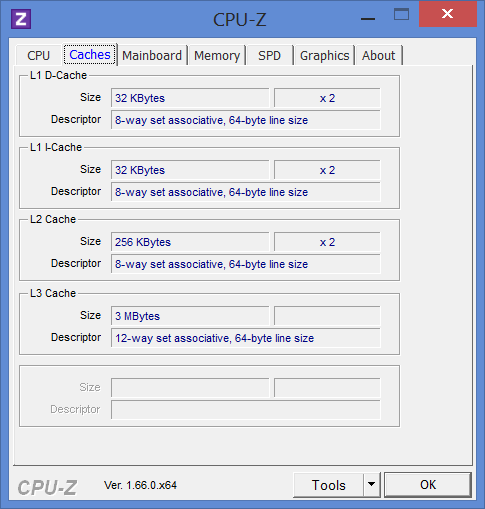 Otherwise, both processors share the same cache sizes, threads, TDP and integrated HD 4400 GPU. RAM is provided by a single 4 GB PC3-12800 module from Micron. 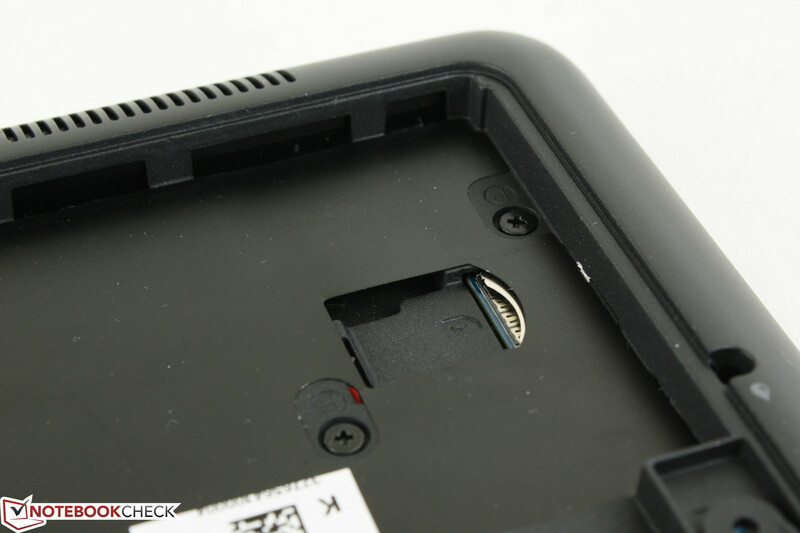 The bottom hatch reveals two SODIMM slots (one empty) and a free PCI-e slot for WWAN upgradeability. 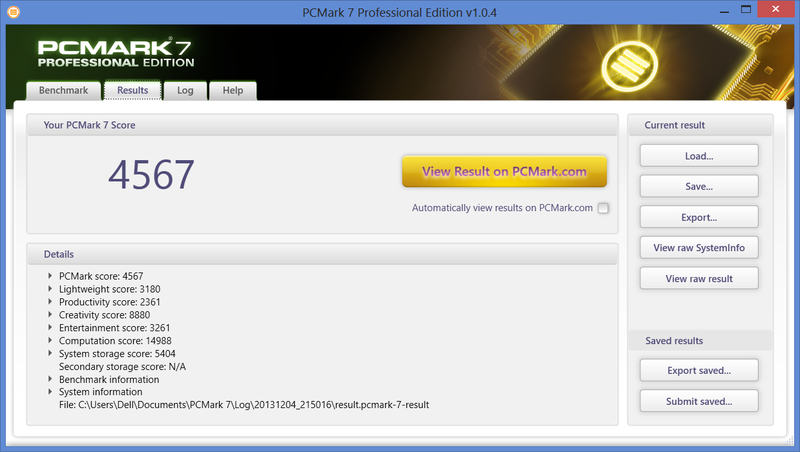 CPU performance is similar to our reviewed Latitude E7440. 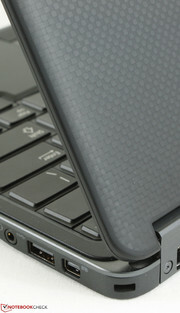 Since the i5-4300U was only recently made available, our database contains only two samples at the time of writing. Even so, multi-thread performance is noticeably faster than the i5-4200U according to wPrime 1024m (630 seconds vs. 718 seconds). 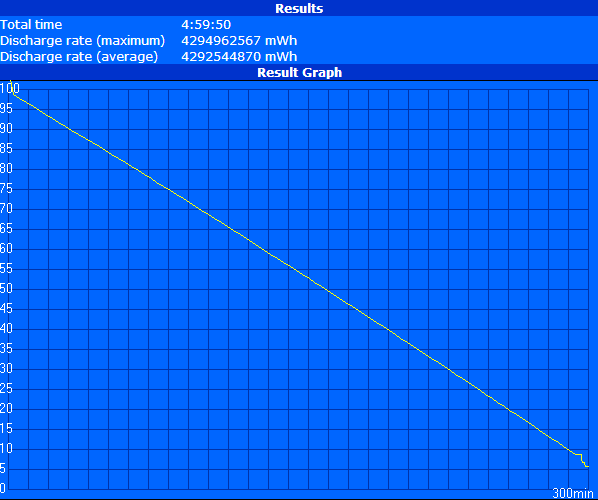 Single-thread performance is an improvement as well according to Super Pi 32M (690 seconds vs. 745 seconds). 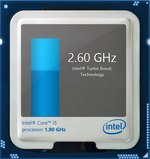 Compared to the Ivy Bridge generation, this ULV Haswell chip is most similar to the high mid-range i7-3517U in terms of performance. 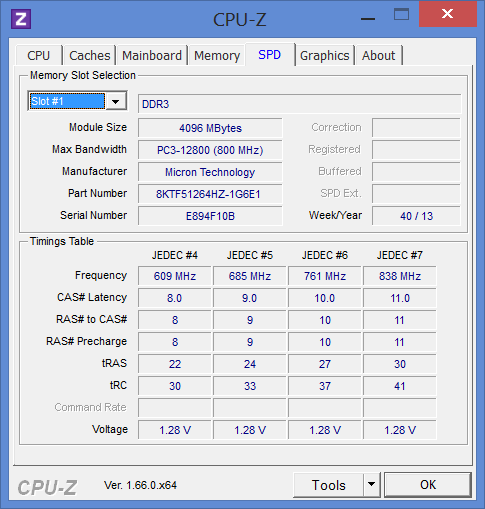 Most users may not notice the difference in day-to-day use, but power users running more demanding applications may want to consider the i5-4300U upgrade. 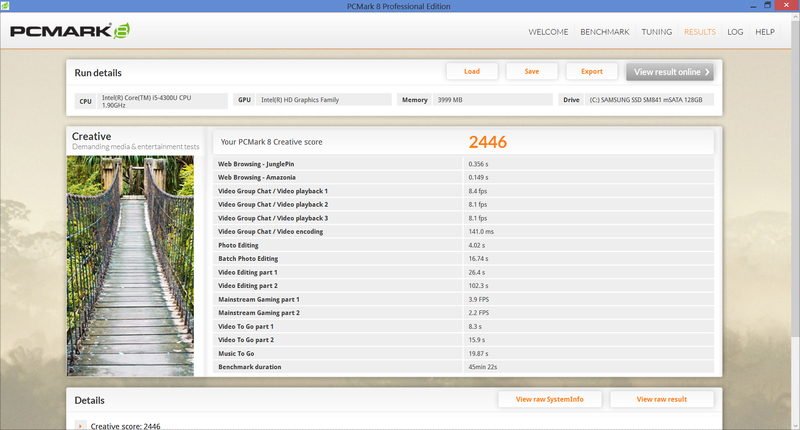 The PCMark 7 score of 4567 points is high and no doubt aided by the fast SATA III SSD in the system. 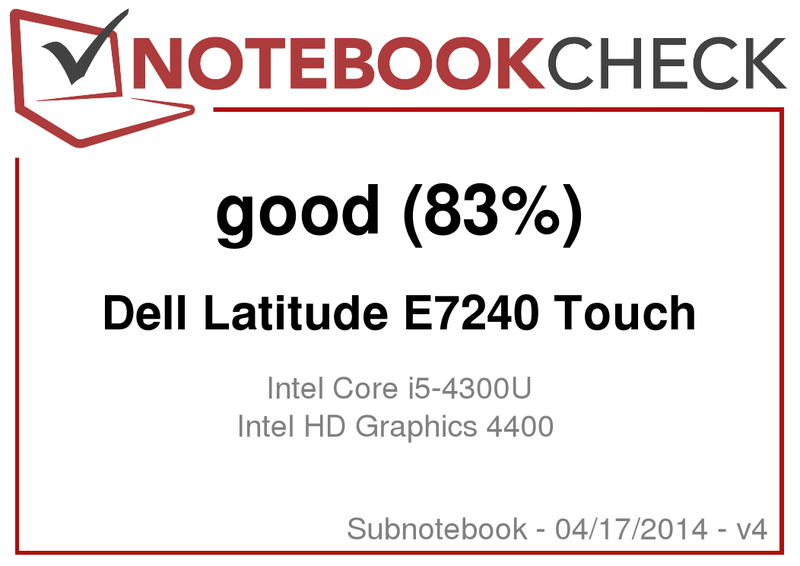 This puts the E7240 Touch in the same ballpark as the recently reviewed IdeaPad Flex 14 or Vaio Duo 13, both of which sport Haswell i5-4200U processors. The Windows 8 Experience Index shows a system bottlenecked by its integrated graphics, though this should have little significance for business users. 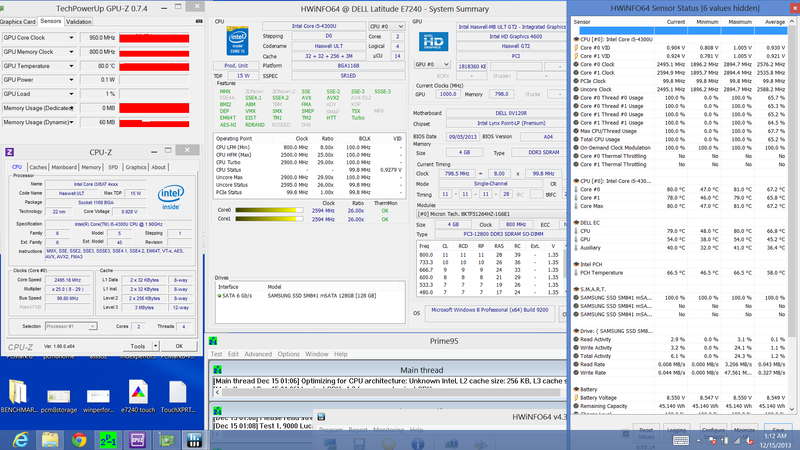 Instead, the high CPU and hard disk scores are most important for daily multitasking and launching applications. 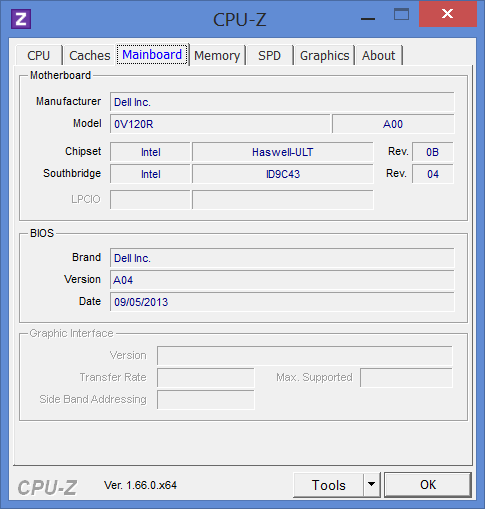 Like the original E7240, the system is subjectively very smooth and snappy when navigating through the graphics-heavy Windows 8 UI or first opening programs from the various menus. We ran into no issues with freezing or latency. 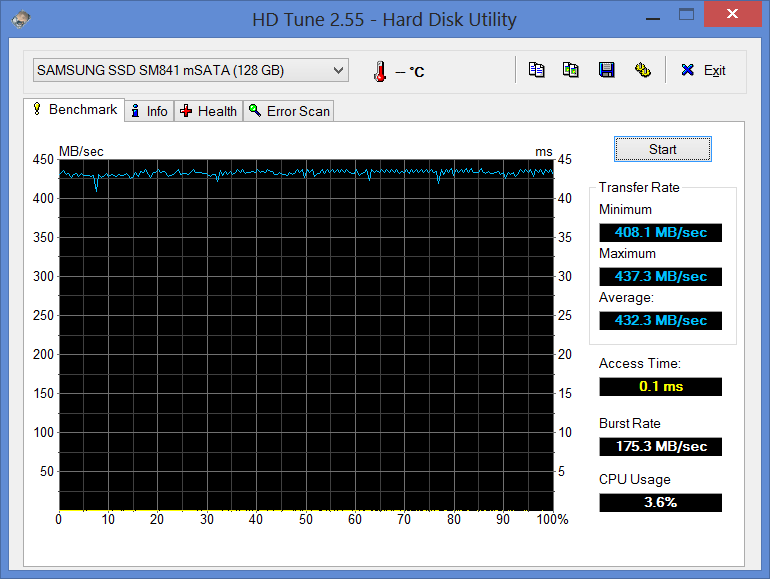 Similar to most Ultrabooks and subnotebooks thus far, the E7240 Touch makes use of the increasingly common mSATA SSD. 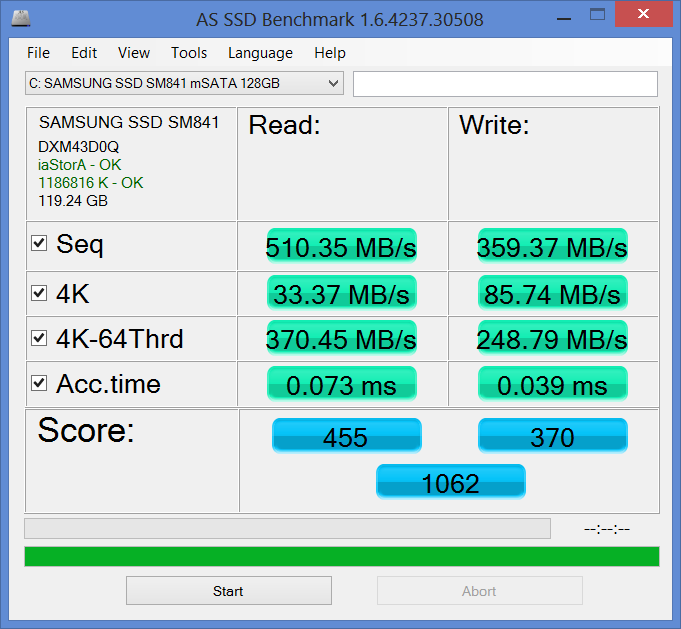 The SATA III Samsung SM841 128 GB drive is marginally faster than the Lite-On drive in our first E7240 model according to AS SSD, but otherwise imperceptible in everyday performance differences. Buyers should instead be cautious about the relatively small storage size as only 101.4 GB is available by default on the C drive. 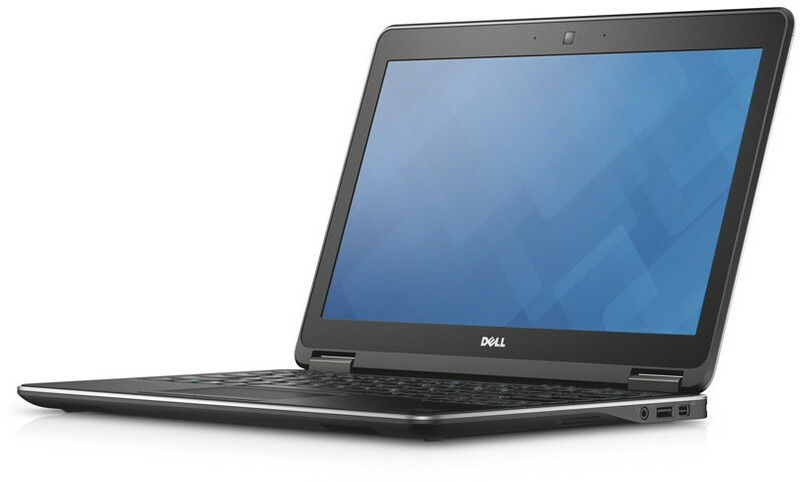 Dell does offer models with a larger 256 GB drive or users can simply upgrade on their own. 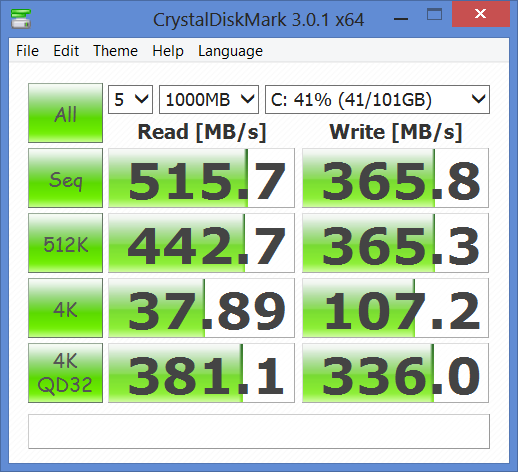 Either way, the cost per GB for mSATA drives is still relatively high compared to standard 2.5-inch SSDs, not the mention the already expensive E7240 Touch. 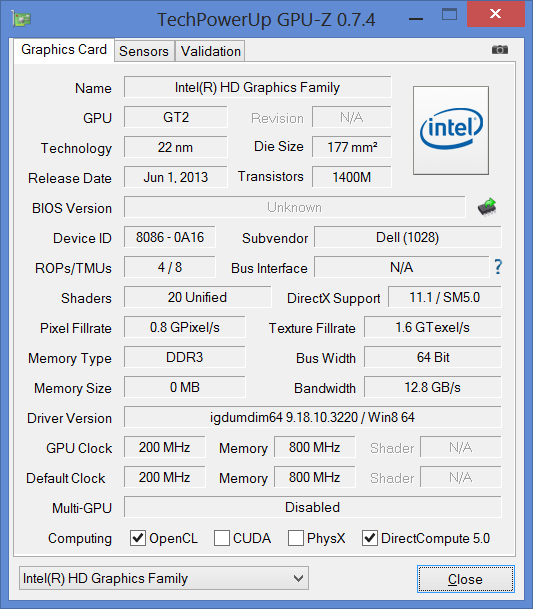 The integrated HD 4400 GPU is a large improvement over its previous Ivy Bridge generation. 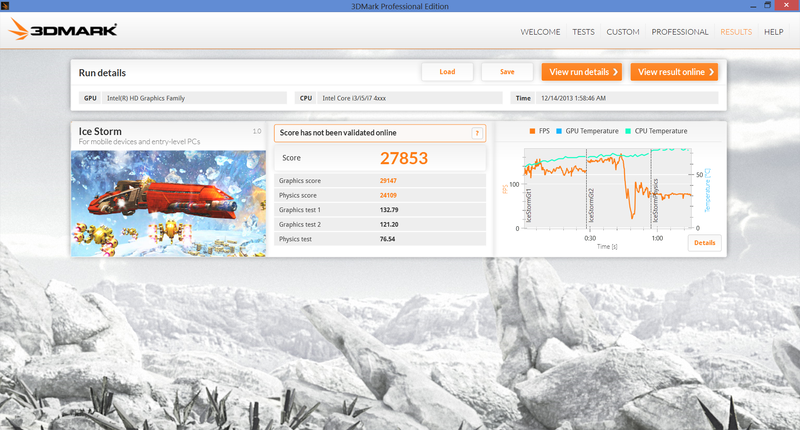 Its 3DMark 11 score of 752 points, for example, is about equal to the discrete low-end GT 525M and 420M GPUs in the Satellite Pro L770 and Samsung NP-RF710, respectively. This allows for a handful of current games to be playable in mid settings (Starcraft 2, DOTA 2, etc. ), though more graphically intensive 3D titles like AC4 or BF4 will be limited to low settings and resolutions. 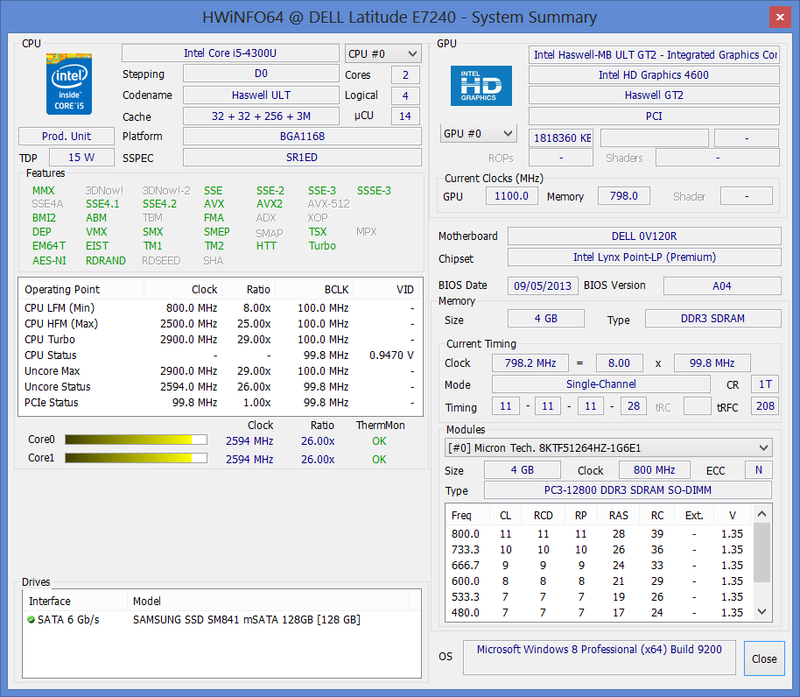 For more information and benchmarks on the HD 4400, see our dedicated page here. 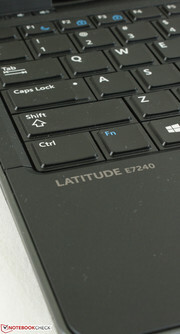 We praised the original E7240 for its quiet operation and this is again true for the Touch model. Typical browsing will result in a near silent ~29 dB(A) system. 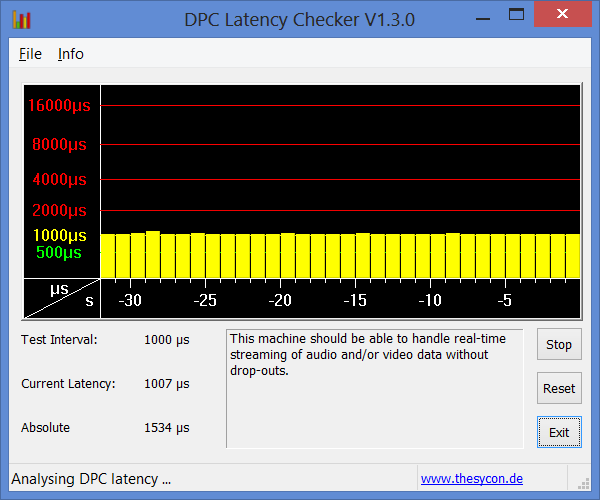 Playback of 1080p YouTube content, however, will periodically raise fan speed up to about 35 dB(A), which is audible but thankfully not enough to be distracting. In general, users should not expect system noise to be any higher than 35 dB(A) if browsing, word processing or playing Flash-based games. More intensive tasks will bump fan speed in a stepwise manner from its base 29 dB(A) to 34.9, 41.9, 46.5 and then finally 48.1 dB(A). Anything above 40 dB(A) may become distracting in classrooms or libraries. We were able to record these sound levels by subjecting the notebook to maximum CPU and GPU loads and so fan speeds this high are unrepresentative of everyday use. Surface temperatures can be cool or warm when idling depending on the spot. The palm rests and touchpad remain cool, even under high processing loads, but the top half of the notebook can get quite warm on both sides. A full hour of maximum load resulted in a measured surface temperature of 52 degrees C, which is too uncomfortable for skin contact. For moderate or higher loads, a table is recommended for longer sessions. (±) The maximum temperature on the upper side is 44.4 °C / 112 F, compared to the average of 35.8 °C / 96 F, ranging from 22 to 57 °C for the class Subnotebook. 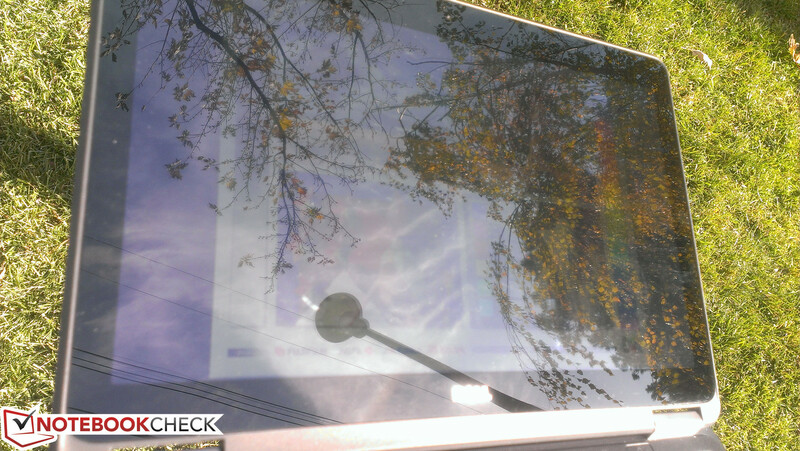 (±) The average temperature of the palmrest area of similar devices was 28.6 °C / 83.5 F (+1.2 °C / 2.2 F). 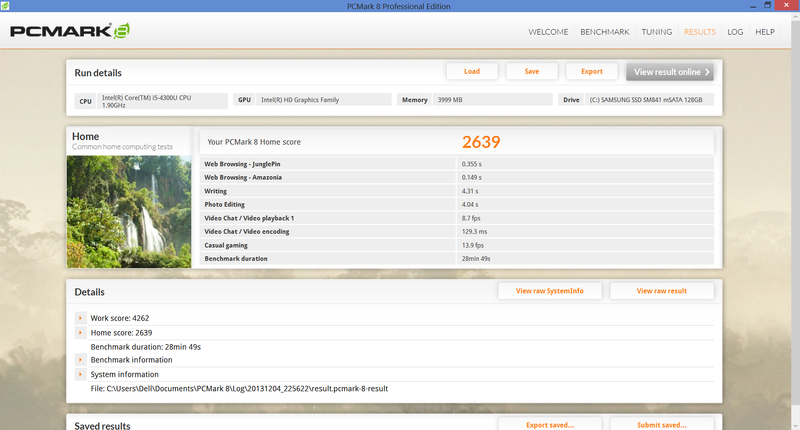 We stress the notebook with monitoring tools CPU-Z, GPU-Z and HWiNFO active to identify any potential throttling issues. 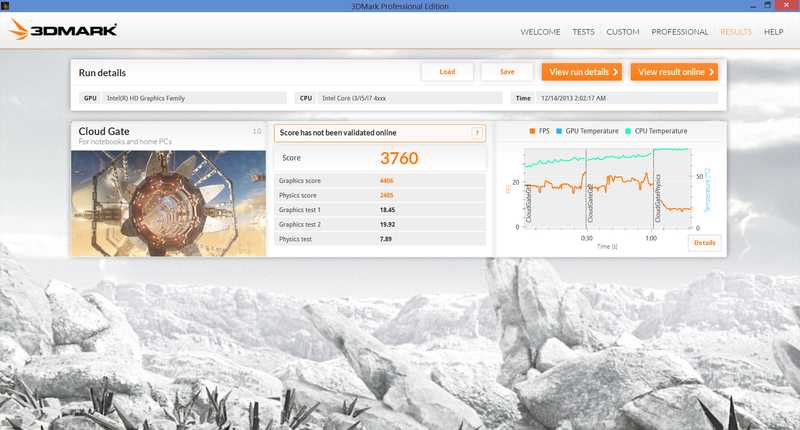 With Prime95 active, the CPU operated at a steady 2.5 GHz to 2.6 GHz and topped out at 80 degrees C. With FurMark active, the GPU operated at a steady 850 MHz to 950 MHz. 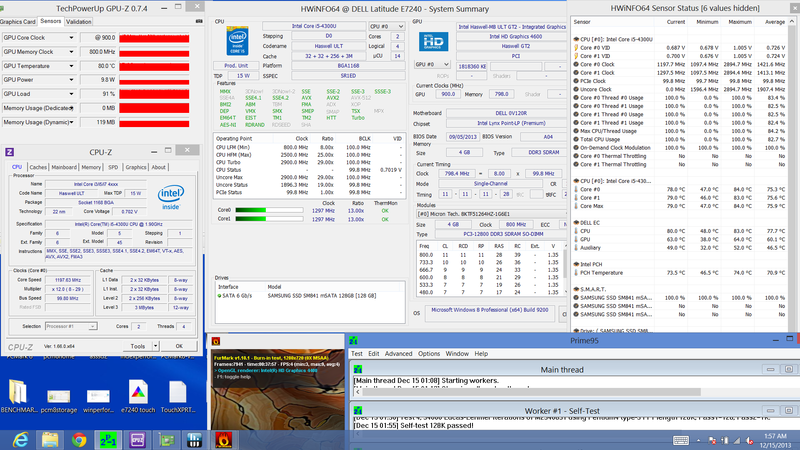 With both Prime95 and FurMark active simultaneously, the CPU throttled to a steady 1.2 GHz to 1.3 GHz range, which is well below its base 1.6 GHz speed. 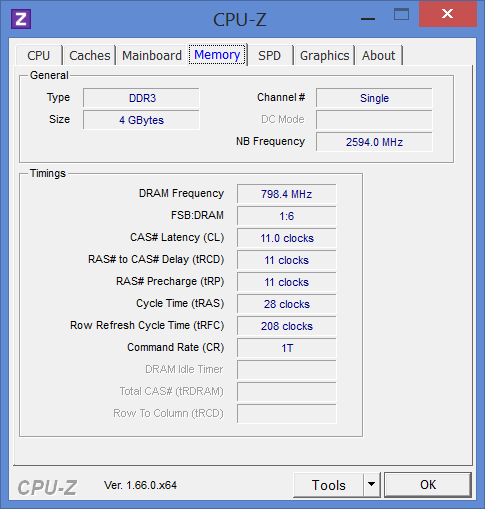 In contrast, the integrated GPU was barely affected and continued to operate between 850 MHz and 950 MHz. 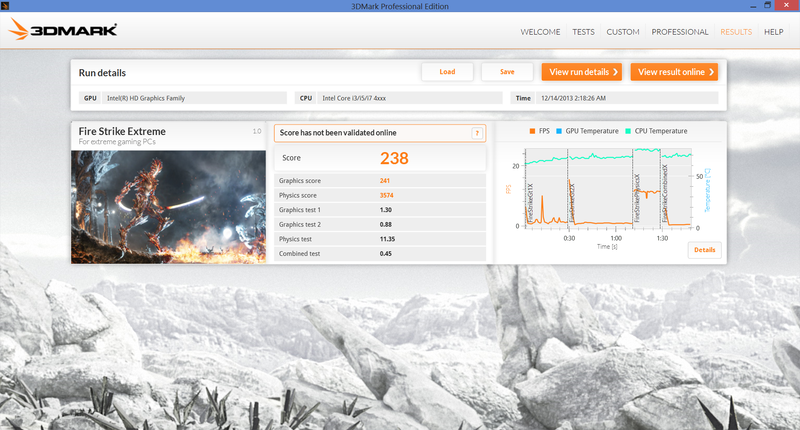 Core temperatures maxed out at 84 degrees C. Though the CPU throttles, a 3DMark 11 run immediately after the stress test returned results that are essentially identical to pre-stress conditions. Thus, the CPU throttling should have little to no ill effects on daily usage unless if the user intends to frequently use both the CPU and GPU at their maximum processing speeds simultaneously. 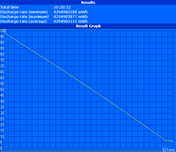 Full CPU and GPU performance is retained when running on batteries. As with the original E7240, the stereo speakers are not sufficient for a great multimedia experience. Fortunately, maximum volume is loud and will not result in distortions or static, but bass is still lacking. External speakers are recommended for better quality. 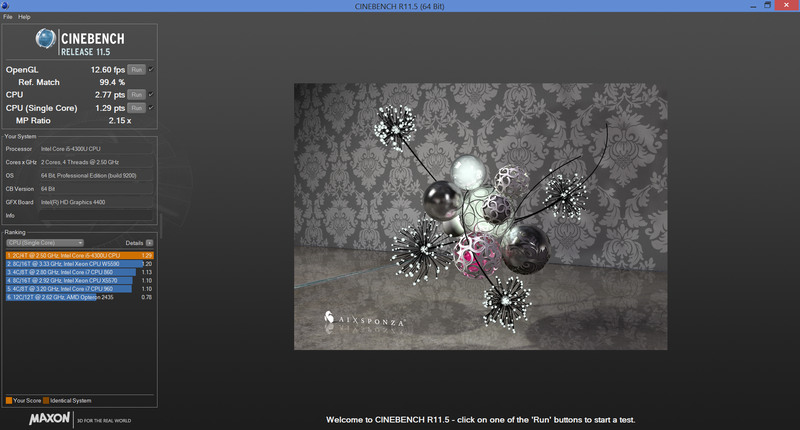 Whereas our first review model was equipped with a 31 Whr battery, the updated Touch model uses a denser 45 Whr module. Beyond the obvious potential for longer battery life, the higher capacity is appropriate considering the higher power demands of the 1080p IPS screen. No other larger capacities are available at this time. A maximum runtime of almost 10.5 hours was recorded with disabled wireless and minimum screen brightness while running Battery Eater Reader’s Test on the Power Saver profile. 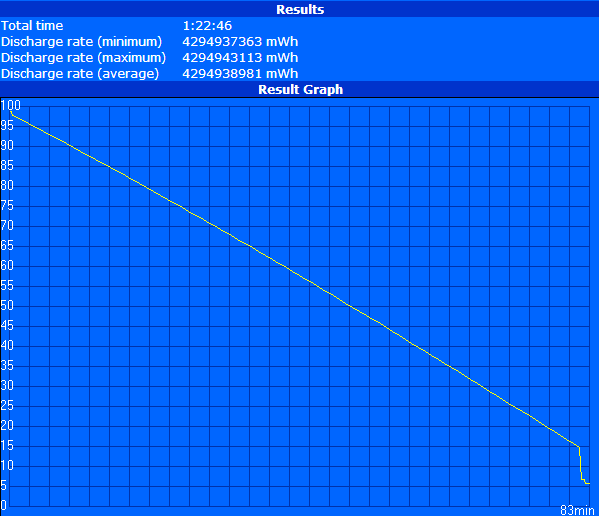 A minimum runtime of almost 1.5 hours was recorded with wireless enabled and maximum screen brightness while running the Battery Eater Classic Test on the High Performance profile. 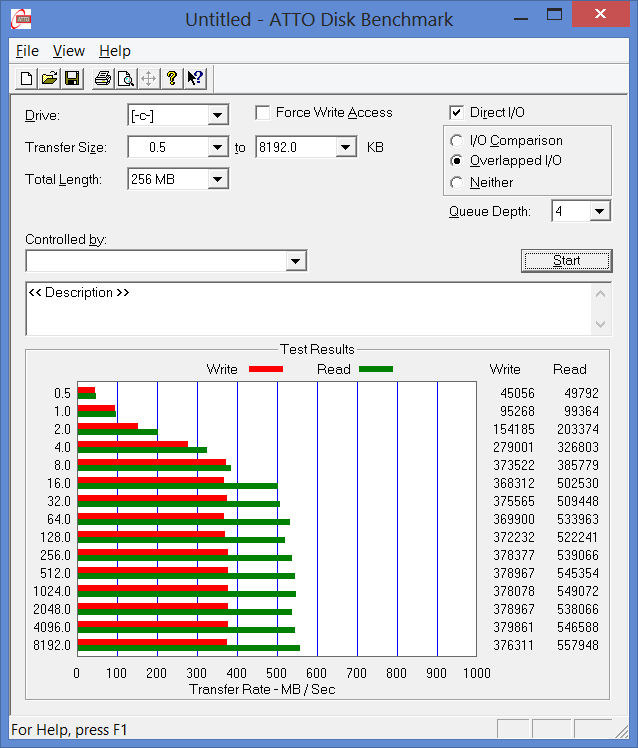 Our standard WLAN test at 150 nits (brightness setting 5/10) returned a runtime of exactly 5 hours, or almost half an hour longer than the original E7240. Its idling runtime is also almost 3 hours longer, which means users can squeeze more life from the system with more reserved power settings. Users who intend to run demanding applications constantly will benefit much less from the larger battery size. Dell has made an already solid business notebook even better. This is still a lightweight and modular system with fast application performance, but the Touch model is highly recommended over its non-touch counterpart as the benefits go beyond just a higher pixel count. The IPS upgrade, brighter screen and twice the contrast ratio of the original E7240 model make the E7240 Touch that much more productive and enjoyable to use. It’s a shame that Dell does not explicitly advertise some of these essential features as we actually find them more lucrative than the addition of a touchscreen. As recommendable as the E7240 Touch is, the model still suffers from one major issue that it shares with the original E7240: Price. Starting at $1665 at the time of review, the Touch model can be a hard sell at both the consumer and business levels. 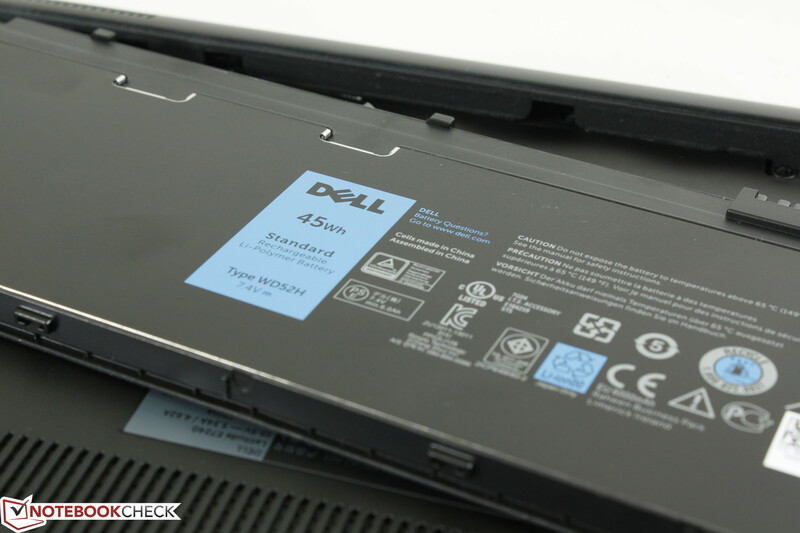 Fortunately, the notebook is made to last as Dell throws in a 3-year warranty with onsite service on every purchase. For business users looking for a portable solution with more features and connectivity options than an often sterile Ultrabook, the E7240 Touch is the best all-rounder this year. One of the best 12.5-inch notebook for business users with a 1080p IPS touchscreen. Lower price, cooler operation, no CPU throttling. Easy upgradeability and reparability. The screen is far better than its non-touch configurations.